Um, so tomorrow is National Girl Scout Cookies Day. Can we chat for a second about how those little brats entrepreneurial young women ruin my life every. single. year. with their Samoas? I seriously cannot eat one without eating two-thirds of the box (at least). Every year I enter February fully intending to avoid those brightly colored boxes - once I even stopped carrying cash for the entire month for this reason - but despite my best efforts I inevitably end up with an empty box and a sugar high, in my fat jeans. Hrmph. (Btw I've already placed an order for a box this year. Okay fine, three). Moving on to Valentine's Day preparation...Shopping for something lacy? Camille Styles suggests the 10 Best: Lingerie Sets. Plus A Cup of Joe is hosting an Eberjey giveaway - and those who don't win can save 15% with their exclusive promo code. Not the lingerie type? You could go for this shorty pajama set instead. Reminds me of Megan's Party Jams! If you're planning to stay in and cook dinner for your Valentine, this "Romantic Menu Planner" quiz by Epicurious is a fun tool that helps you determine your entire menu, then gives you the recipes and even shopping lists. My suggested menu includes honey-butter french bread. Yes, please. In case you need some supplies, Williams-Sonoma is having a sale: 20% off all Valentine's Day items. Individual desserts made in this cakelet pan would be perfect for dinner and you can give the leftovers as gifts! For more Valentine's inspiration, check out my Valentine's Day board on Pinterest and my video feature on No Name, New York. If you haven't bought your gifts yet, here are my gift guides: for the foodie, the lady, and the mister. Finally, if you're a lady and looking to buy yourself a Valentine's gift you're sure to love, check out my Spring Style board. * I just bought these Joie Mariner Pants and I love them. Super comfy and they don't wrinkle - perfect for hostessing! And if you're after something pink, I think these J.Crew patent poppy wedges are their prettiest yet. They're definitely on my wish list! *Disclaimer: I have been accepted to an affiliate program through which I may receive commission for sales of certain products, when the reader clicks through certain links and makes a purchase. This is the first step toward monetizing this blog so that I can keep posting every day. But don't worry - I will only post links to products that I actually use or admire, just like I always have. Pinky swear! 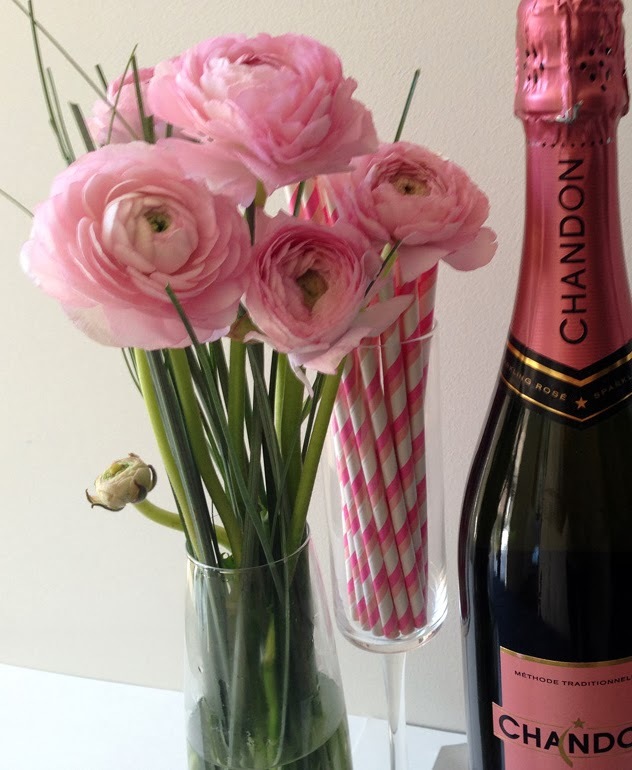 Enjoy the weekend - I'll be back on Monday with Valentine's Day bar cart design!! great roundup! i haven't even given much thought to valentines day yet - you're so organized! Thanks Whitney! Not to worry - you still have a week. :) Btw I just checked out your blog - Love it!! I'm now following you on all social media. Have a great weekend! !